Seemandhra MPs and Seemandhra political parties are moving earth and heavens to grab the Hyderabad in one way or the other from Telangana. Telangana MP’s are prepared to surrender to their pressures to the any extent. One MP says that he is prepared to accept Hyderabad as common capital for ten years and the other MP says entire HMDA can be part of common capital. Seemandhra agitation proved more than enough that there is no Samaikyandhra at all. Their fight is not for unity or so, but for only to grab the Hyderabad. Here in Telangana all leaders were down with deceptive silence. While Kirankumar Reddy spreading canards on movement, our Congress ministers from Telangana were just became spectators. No one is seriously thinking about consequences of these statements. None of the Congress MP’s of Telangana has the guts to challenge this move by Centre. They are busy in lobbying for their share of power in post-Telangana. 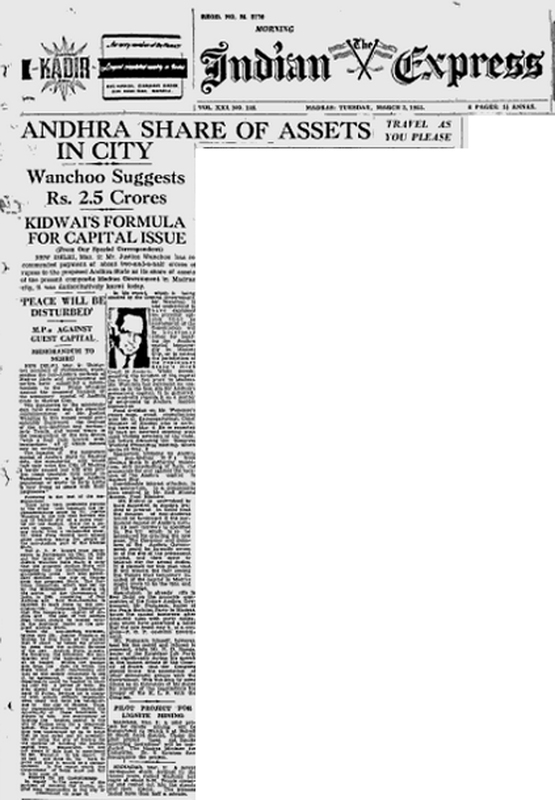 Here is the letter of 32 non-Andhra MPs of Madras (Tamilnadu) state to the Prime Minister of India in March, 1953 against the proposal of making Madras as either temporary or transitional or guest capital of Andhra state. There is a lot for our Telangana politicians to learn from the Tamil MPs, who had fought tooth and nail to stall the proposal to make Madras even a temporary capital. Let us hope wisdom dawns on our MPs, MLAs, Ministers… Amen. KCR the leader of TRS belongs to Andhra region of Vijayanagaram district, his parents are andhra people migrated from andhra to telangana region. For his political deeds KCR installed TRS party with the slogan to bifurcate the state. Some of tamil leaders are anti with ANDHRA region Excluding AIDMK leader Jayalalitha – she was anti with the bifurcation of present day Andhra Pradesh, Karunanidhi supports for the bifurcation of Telugu state. This proves all tamizh leaders are not anti with our andhra people. I was asking karunanidhi even some tamil people are demanding to bifurcate Tamilnadu as Tulunadu and South tamilnadu why not he support and take action towards their state bifurcation?? why he wanna interfere into our telugu regions??? First you bifurcate your state and speak about us. Giving clarity i am not anti towards tamilians i have many tamizh friends in chennai, vellore, pollatchi and benguluru. we developed hyderabad as an international city. We lost chennapatnam ( chennai ) now hyderabad what a great leaders we have always wanna pull andhra back!! Sri krishna committee clearly said Telangana region is well developed, The claimings of Telangana leaders towards andhra are’nt true..
Sri krishna ji clearly said Bifurcation is not a solution for the problem. Tulunadu comes in Karnataka not in Tamilnadu. Chennai or Chennapatnam always had majority Tamil population. You guys did not have Chennai in the first place and you did not loose Chennai. Just some Politicians made absurd claims during that period.